Yes, we know we should budget. Although, we should be doing a lot of things – do sport everyday, eat healthy, stop drinking, start carpooling. 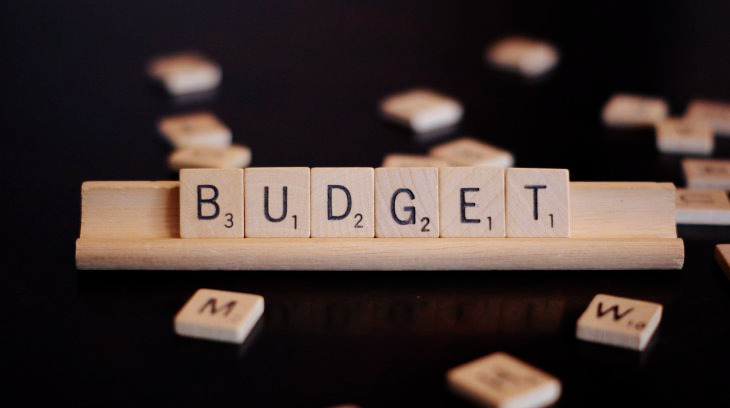 So why add budgeting to the ever growing list of ‘shoulds’? Ha – you knew this was coming! Track your expenses for a month and see what you spend money on – food, rent, fun? What are your largest expenses and what expenses can you cut down? If you spent $100 on food this month, try to cut it down to $75 in your budget. Start by saving about 10% of your paycheck for the trip to Australia you always wanted to go on, that musical you wanted to see, or simply for a rainy day. Then plan in the expenses that are unavoidable – rent, utilities, food. Don’t forget to plan in some money for fun – going out to dinner with friends, going to the movies, etc. Budgeting is not the prohibition of fun. What? Basically ‘No Spend Days’ are days where you don’t spend any money. I recommend starting with doing this once a week – maybe every Wednesday! It actually is easier than it sounds and makes you feel pretty accomplished by the end of the day! When I tracked my expenses for a month, I noticed that coffee, ice cream, a lunch out everyday were really cutting into my budget. Those little things add up! Cooking at home is one of the best ways to keep expenses low and, personally, have saved me the most money. Can’t cook? Well, you don’t have to be Gordon Ramsey, but you do realize that cooking isn’t rocket science, right? Just YouTube ‘How to Cook Rice’ and you’ll get all the answers you need. Although I do recommend starting to cook for only yourself, so that other people don’t have to suffer from your burnt creations at the beginning. Oh yes, I am speaking from experience. Even when you have that grocery list on your phone and know exactly what you should be buying, you end up getting everything that looks even remotely delicious – cookies, 10 yoghurts, 5 different types of chips… You get the point. Now, I know we don’t like talking about money and specifically our finances to others. I’m not saying you should tell your boss that you are on a budget or post it all over Twitter. But – tell your family and friends. Why not share it on Tabbt? They can help you out AND hold you accountable (Yay!). Look – if I can do it, you can do it. Good luck, Tabbers! Melissa kümmert sich bei Tabbt um die Bereiche Marketing, Social Media und Customer Relations. Wenn sie nicht gerade für uns arbeitet oder in Kanada studiert, findest du sie in ihrem Fechtclub.